There has never been a more critical time for our homes to look and show their best and photos are such a big part of that experience. Consider that the first impression a buyer will have of your home will happen while they are sitting in front of their computer screen or handheld device. The latest housing market statistics recently reported have confirmed that over 90% of the those looking for a home begin their search online. The video below offers a few simple tips that you can use to improve that first impression and elevate your home from average photos to an emotionally compelling online experience. One of the primary goals of preparing your home to sell is having the buyer experience an emotional connection with your home. You want the buyer to see themselves living in your home. Most of us live in our homes entirely differently than when we are trying to sell our homes. The challenge for many of us is that we simply have too much stuff inside our homes which can be very distracting to a buyer which can create a negative experience. Decluttering your home is a critical step to creating a positive showing presentation. I once read "When in doubt, throw it out, sell it, store it or give it away!". This is great advice and it applies perfectly to preparing your home to sell. When you start decluttering your home it's best to start with a plan and decide where you will be relocating the items you are removing. If you are keeping certain items it is always best to utilize some sort of storage system such as moving boxes or plastic storage tubs. If you are removing seasonal clothing from your bedroom and hall closets you may want to consider utilizing one of the newly designed sleek low profile tubs because they can be tucked under a bed or stacked and organized very easily. Take a walk through your home and pay careful attention to how your furniture is arranged in each of your rooms. Watch for furniture that protrudes into doorways, openings, arches and traffic areas that connect adjoining rooms. Many times we see a piece of furniture that is so big that it sticks out and is in the way and it is better to remove this furniture before photographing the home and certainly before showing it. 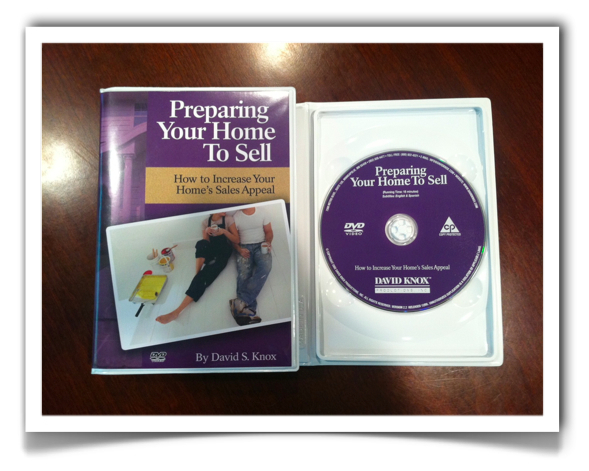 One of the services we offer our clients is a consumer video DVD titled "Preparing Your Home To Sell". This 16 minute video offers some creative tips on how to make your home really shine above other competing homes. If you are interested in selling your Knox County Ohio home I would be happy to loan you a copy of this DVD because it will give you some cost effective ideas that will help you concentrate on the areas that will help you set your house apart from the competition. Remember that over 80% of the buyers in the market are making their decision of which homes they want to see and buy based on what they see during their home search while viewing viewing online home photos and the real estate virtual tours. If you are interested in meeting with us and discussing how we can help you get your home sold give us a call at (740) 397-7800 or feel free to email us at Samsells@sammiller.com. We also offer an online electronic listing request form called "I want to list my home". I was on a listing appointment with a home owner today and as they were taking me through the home they asked me if they should replace the 1960's carpeting. The typical response of a real estate agent would be "Yes, let's replace that old carpeting with a soft neutral carpet. However, my answer was a little different especially in the current market. I asked the owner if they minded if I removed one of their furnace registers and they said that would be fine. Once I removed the heating register we quickly found some very nice hardwood flooring underneath that old carpeting. 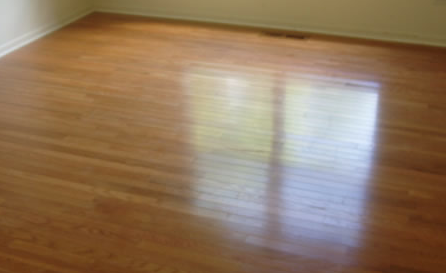 My immediate response went like this "I don't think we will be needing new carpeting and you may have just saved between $3,000 to $5,000 because the hardwood looks like new". The reality is that many real estate agents have bought into the notion that in order to successfully sell a home in this market the home must have all new carpeting, all new stainless appliances and granite or solid surface counter tops. The current housing market is challenging but the reality is that there are many cases where the home owner should simply focus on some decluttering of the home and making the home feel clean, nice and neat. This approach can pay bigger dividends than spending thousands of dollars on expensive upgrades because spending thousands of dollars doesn't guarantee you will always see a higher sales price. Certainly there are cases where making the upgrades pays off but before you do this you should evaluate the competing homes in your price range. When a home owner hires The Sam Miller Team to sell their home one of the first things we do is review all of the competing homes so that we know which homes will be our stiffest competition. This enables us to be able to determine exactly what we will need to do to be competitive. If you are serious about selling your home in the current housing market give us a call at (740) 397-7800 and we will give you realistic recommendations that can help you reduce the selling time and we will get your home SOLD for you.